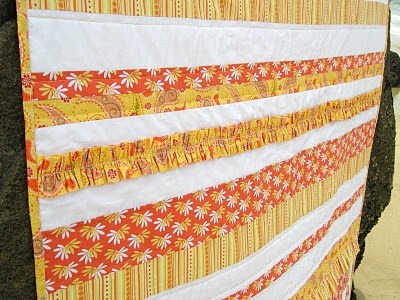 'Bubbles & Ruffles' employs a trapunto method that adds dimension to the raw edge appliqué bubbles. 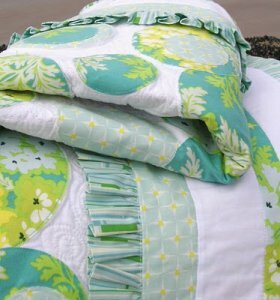 Beautiful ruffles or jumbo ric rac give a chic' look making this a modern, fresh and fun quilt to make and enjoy. 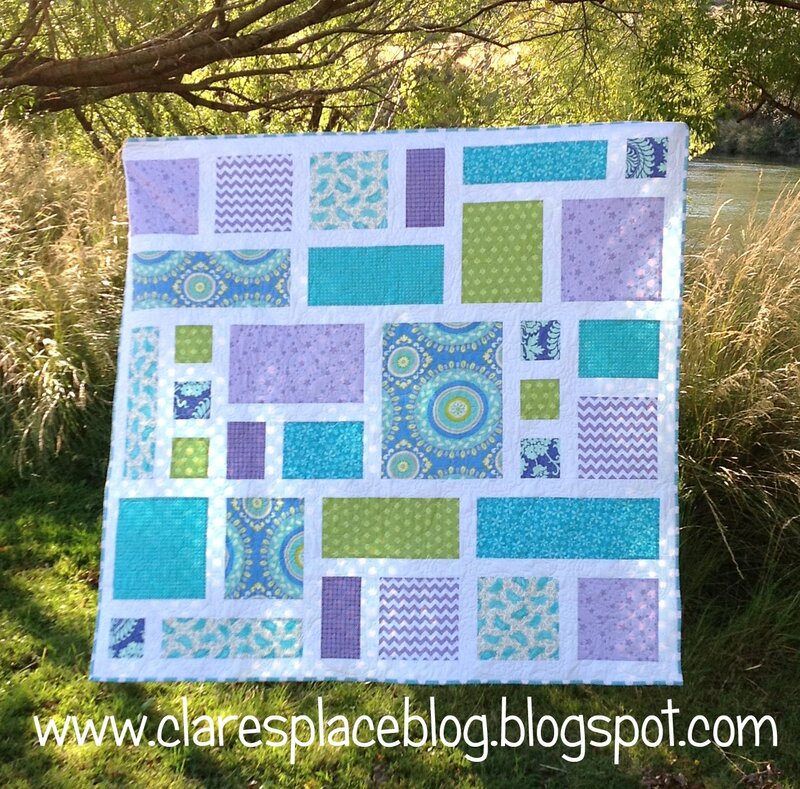 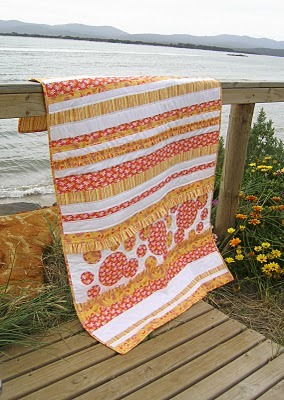 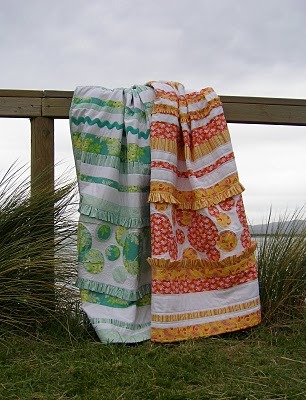 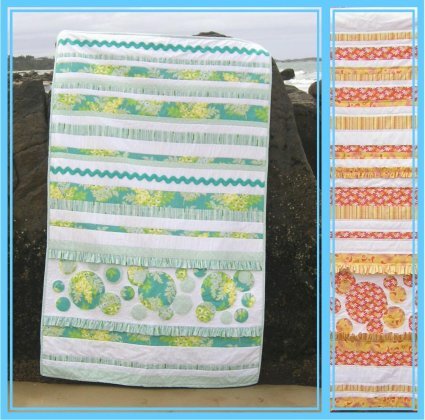 Fabrics: Bue version- Nicey Jane by Heather Bailey. 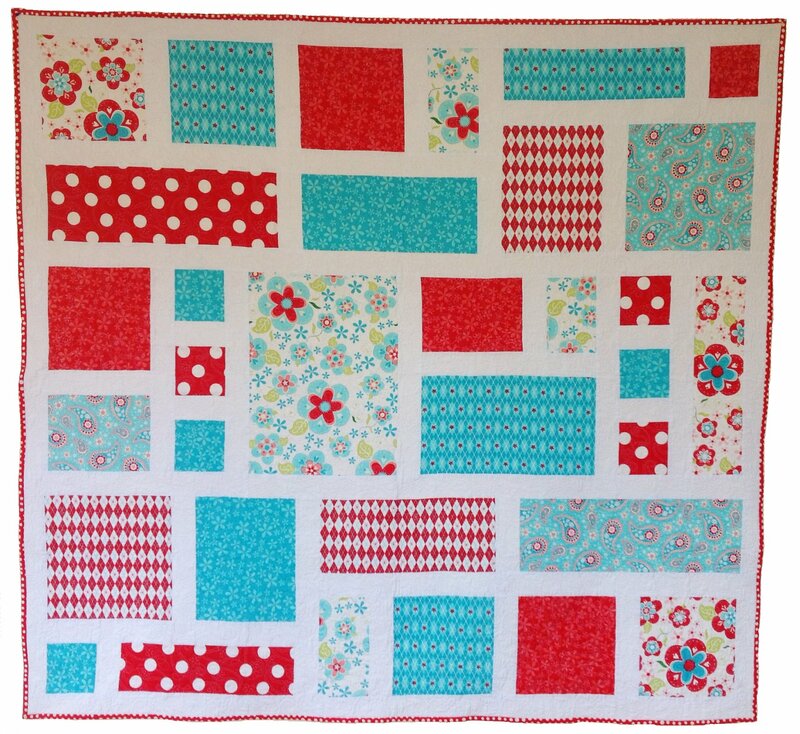 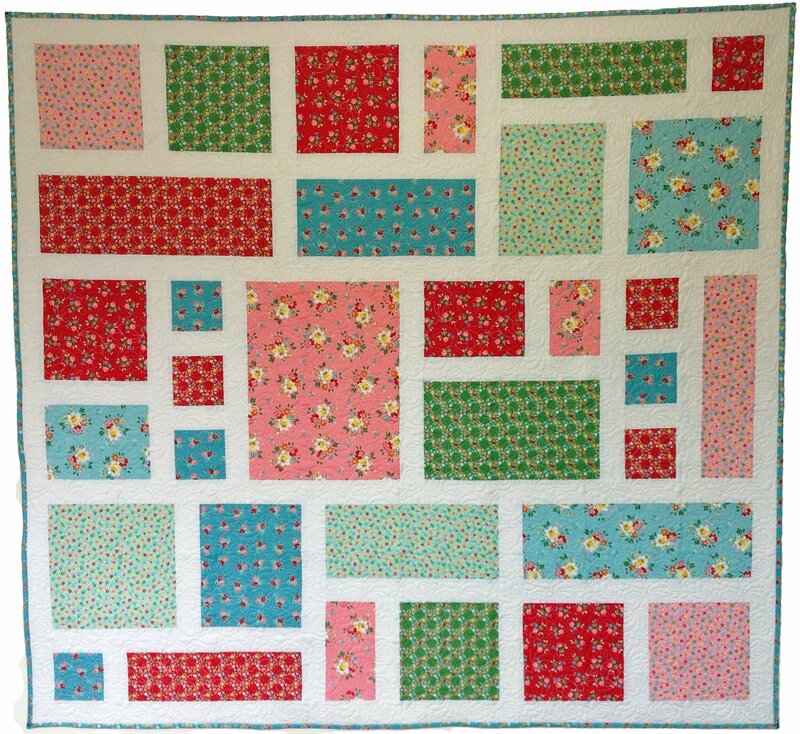 Quilting: Sarah Fraser of Patchworks Plus.